In order to improve circulation in the Boulevard des Moulins sector, to streamline the flow of vehicles and facilitate the access of emergency services, State Services will be setting up a new system, which will be tested for a few months beginning on Tuesday the 5th of June. 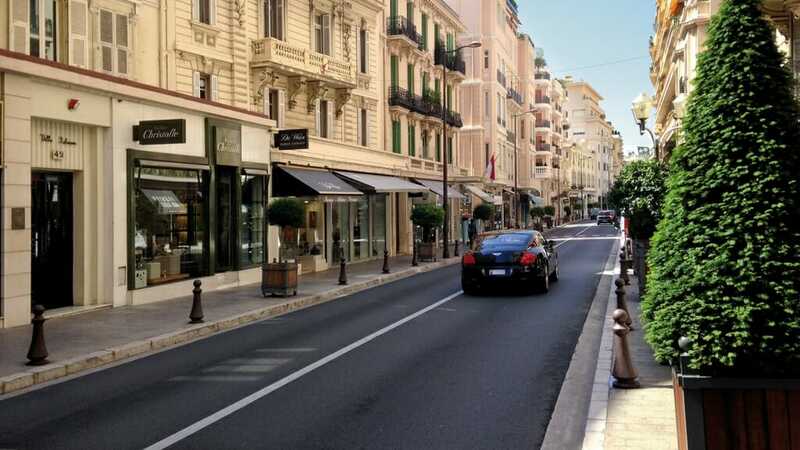 • Bus route numbers 1 and 4 CAM, as well as double buses from regional line 100 Nice-Monaco-Menton, arriving from the Place des Moulins, will no longer take the narrow lane on Saint Laurent and Saint-Charles avenues, but will continue straight ahead between the bd. Moulins / Saint Laurent Ave and the Madone roundabout. Other vehicles will continue to join the Madone roundabout through the arteries that pass in front of Saint-Charles church. • The “turn left” from Boulevard des Moulins to Saint-Laurent Avenue is maintained, particularly to facilitate accessibility for parents of children at the Saint-Charles School. • In the direction of the Madone / Place des Moulins, on the right, there will be a new parking space reserved for people with disabilities, 4 new spaces for heavy vehicles, a bike station (which was in front of the Regina), new spots for 2-wheeled vehicles, a temporary stopping area and a delivery space. • 2-wheeled and heavy vehicle parking spaces will be removed along the sidewalk in front of the Regina. • The Saint-Charles bus stop used by routes 1 and 4 CAM currently located on Saint-Laurent Avenue will be transferred to Regina on boulevard des Moulins, as it has been in the past. • On the left side of Saint-Laurent Avenue there will be 10 new heavy vehicle spaces, while on the right side there will be 23 metres of spaces for 2-wheeled vehicles and a temporary stopping area. • A new delivery spot in front of 27 boulevard des Moulins. • The bus lane is removed in order to create a two-wheeled lane, delivery area, 5 temporary stopping spaces and a stop for the CARF (ZEST) bus. • The pedestrian crossing has been moved a few metres for safety reasons. On Tuesday, June 5, at the same time as the Boulevard des Moulins bus lane will be tested (to improve traffic flow in the area and to reduce travel times for routes 1 and 4), the Compagnie des Autobus de Monaco (CAM) will perfect its entire service by adjusting the schedules of other bus lines. The goal is twofold: to maintain the average frequency of every 10 minutes on the main lines (1,2,4,6) and to match the varying bus times throughout the day. • Night Line 2 (N2) Monaco City – Exotic Garden: North – South route which is strictly the same as Line 2 during the day. These two lines will operate with a frequency of every 35 minutes. The schedules were designed so that the buses of these two lines arrive at the same time at the stops “Princesse Antoinette” and “Monte-Carlo” to ensure a smooth connection for travellers. • 2:35 am from Fridays to Saturdays and Saturdays to Sundays during the summer period, from the evening of Tuesday the 5th of June until the end of September. The objective of these implementations is to optimize response times of the Principality’s emergency services (firefighters, ambulances), to reduce travel time for citizens in this district (whatever the mode of transport) and to improve bus services.